Now more than ever, if you’re charged with DUI in Orange County, you’re going to need the advice and representation of an experienced Orange County DUI lawyer. 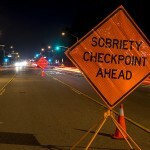 The California Supreme Court in April ruled that circumstantial evidence – such as a police officer’s observations – can be used to demonstrate that a driver had a blood-alcohol level above the legal limit. That means you need a defense attorney who’s experienced at cross-examining police officers and exposing discrepancies in their testimony. The case began when Ashley Jourdan Coffey was arrested for DUI in Orange County in 2011. The arresting officer determined that Coffey was intoxicated based on her red eyes, the odor of alcohol, and her field sobriety tests, according to court records. About an hour after she was stopped, Coffey’s blood-alcohol content (BAC) level was measured at 0.08 percent, the legal limit. A second test three minutes later measured her BAC level at 0.09 percent. Coffey pleaded guilty to a wet reckless charge and then requested a DMV administrative hearing to challenge the suspension of her driver’s license. Coffey had an expert testify that her BAC level was below the legal limit when she was stopped and that her BAC level was rising after the stop and during the arrest and testing procedures. A DMV hearing officer concluded that the expert testimony was not supported by the evidence. An appellate court sided with the DMV hearing officer, and the state’s high court reviewed the case. The California Supreme Court ruled that when chemical tests are inconclusive, other circumstantial evidence may be considered. That’s a real problem because experienced DUI lawyers know that law enforcement officers can sometimes be less than completely candid when they write DUI reports and testify against DUI suspects. In Contra Costa County, for example, police officers James Hartley and Javier Slagado admitted to filing dozens of falsified DUI reports. The courts should perhaps require more, but for now, if you are accused of DUI in southern California, don’t even try act as your own attorney, and don’t wait to make the call. Contact an experienced Orange County DUI lawyer immediately.